For this post, I wanted to do a review of a product that I love. 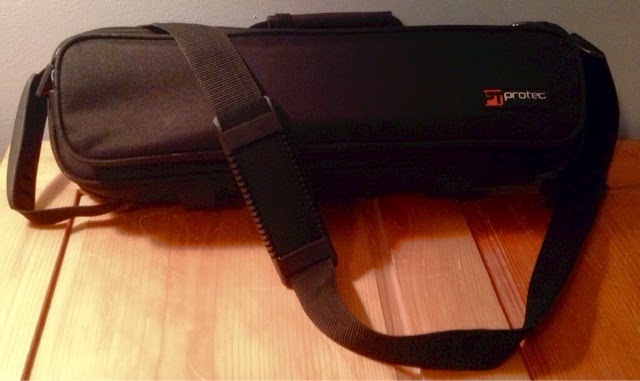 That product is, as stated in the title, the flute case cover by Protec. I have had it for a little over a year now, and it has come in very handy for me. Disclaimer: I was not asked to do this review, this is not a sponsored post. All opinions are my own. The cover itself is black. 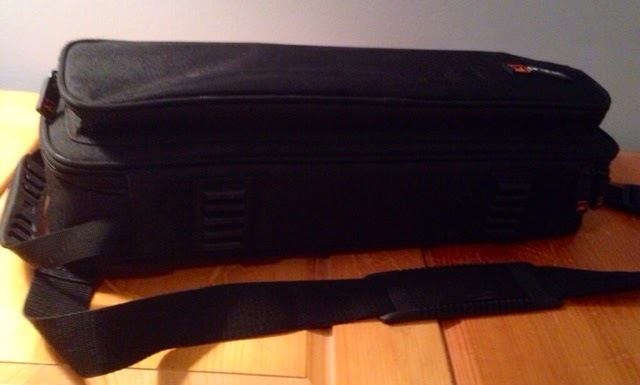 It has a detachable shoulder strap, a handle on the side and on the end of the cover. 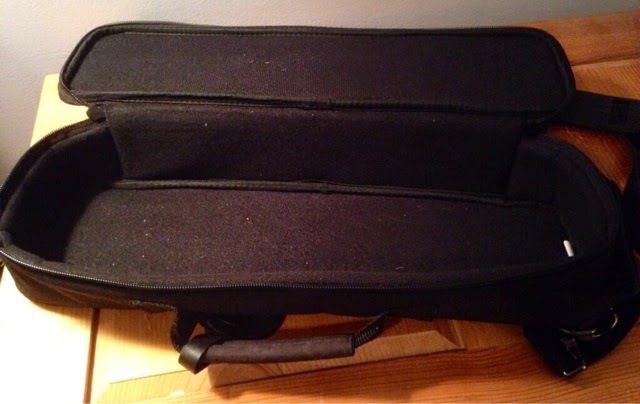 The cover also has two pockets, one made to store your flute, C-foot or B-foot, and a pocket on top which can store either cleaning supplies or a piccolo. It does not fit the bulkier cases that come with most student models. 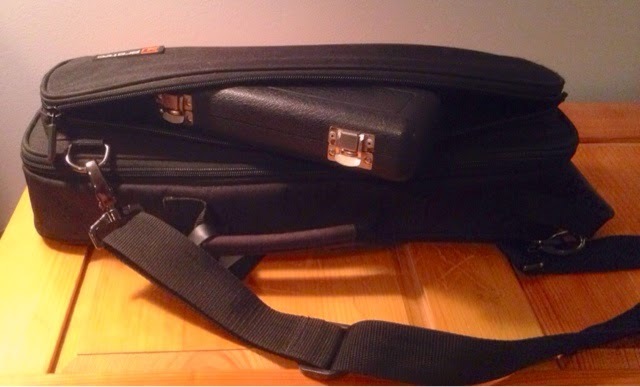 I have my Trevor James 10x flute in the big pocket and my Armstrong piccolo in the small pocket. This case runs for about $32 on Amazon, but I purchased mine from a small specialty shop in my area for a couple dollars more. If I had to list the faults, I would say that the plating on the straps’ hooks started to come off after a few months, but that is not a major issue. 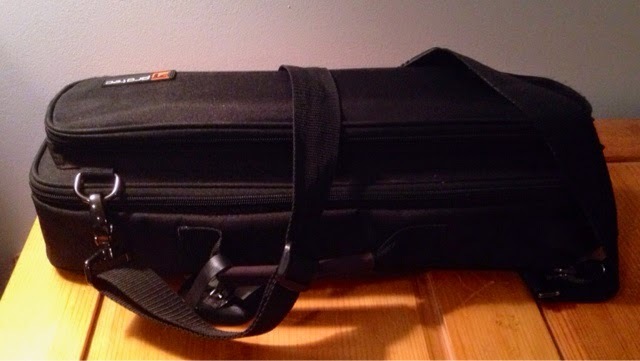 Overall it is a good product, and I would definitely recommend it to any flute player who is looking for a new way to carry their instrument. To purchase this case cover for yourself, click here. Next Next post: Cool Headjoint!